We hope you enjoy this month's newsletter -- Use Mindfulness to Prevent Running Injuries. Mindfulness has many benefits as you are probably aware, but as runners, we can specifically use it to prevent running injuries. Continue reading to learn how! Mindfulness can create many benefits in life such as: better focus and concentration, reduced stress, improved health and an increased sense of peace and contentment. 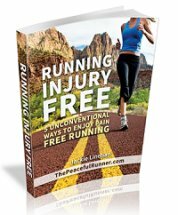 It is a practice everyone can benefit from especially runners as we can specifically use it to improve how we run and to prevent running injuries. What is mindfulness? Essentially, it is the practice of being totally present with what we are experiencing while maintaining a non-judgmental attitude. This practice has been so well researched that it is now widely used in the medical field to reduce stress and to improve general health, particularly the immune system. 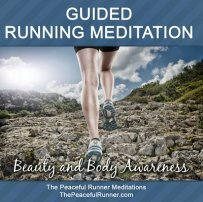 To practice being mindful while running, it helps if we first focus on our breath. Notice how it moves in and out of our body and notice if we are breathing rapidly or slowly. Become totally aware of your breathing and how your body feels while not making any judgments about your experience. The idea is to move away from getting lost in your thoughts. 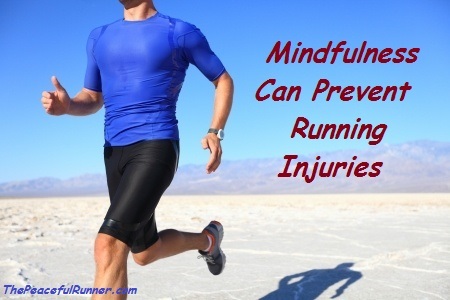 Continue reading to learn how to use mindfulness to prevent injuries while running! 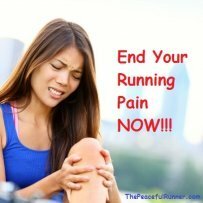 Until next month, keep smiling and enjoy peaceful, injury free running!